The Canadian tennis player made waves when she reached the Auckland Open final, beating the likes of Venus and Wozniacki along the way. Now she’s making her way through the Australian Open. Canadian tennis can add another starlet to its arsenal. Most of the talk has been focussed on the men’s side; Raonic, and recently Shapovalov and Auger-Aliassme. On the women’s side, Eugenie Bouchard’s rise and fall has garnered press (and not always for the right reasons). 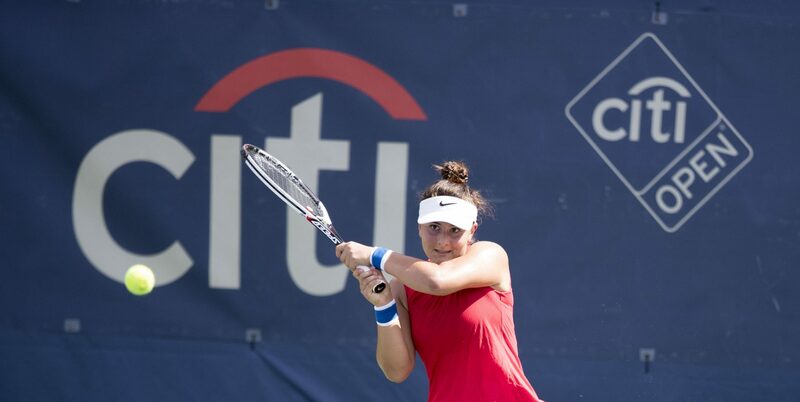 But Bianca Andreescu’s breakthrough in this month’s Auckland Open caught the attention of many. Her run to that final included wins over Timea Babos, #1 seed Caroline Wozniacki, #6 seed Venus Williams, and #3 seed Hsieh Su-wei before falling to #2 seed Julia Görges. And all from the qualifiers. At the time of writing, she’s reached the second round of the Australian Open which is her furthest run in the slams so far. And she’s only 18. But who is Bianca Andreescu? Born in Mississauga, Bianca is of Romanian descent. She moved there as a child and started playing tennis at 7. She moved back to Canada and at 11 years old, she joined Tennis Canada’s U14 National Training Centre in Toronto. At junior level, she’s an accomplished doubles player, having won the 2017 Australian and French Open Junior Doubles Titles with fellow Canadian Carson Branstine (who changed allegiances from the US in 2017). In terms of her style, she’s a right-hander with a two-handed backhand. She keeps the ball flat and hits it hard, which helped her smash through in Auckland. She can also mix it up with slices and dropshots, as seen against Venus Williams in that tournament below. Overall, Bianca Andreescu has the makings of a top player and her career over the next few years will be intriguing to witness. Even if 2019 isn’t her true “breakout” year, it won’t be far away.